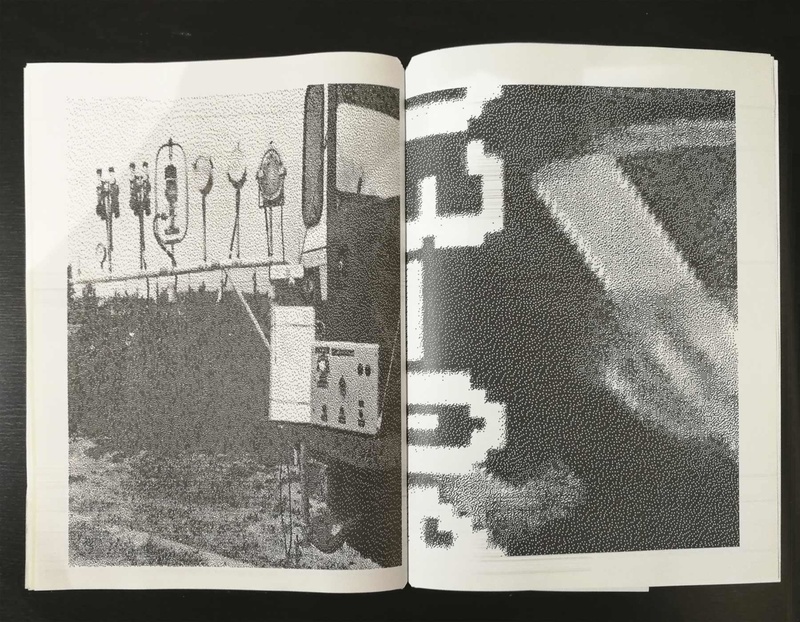 RS FILES is inspired in the photobook AZ. X/1613/80 by Jens Masmann, presented in his artists’ talk in London March 6th, 2018. 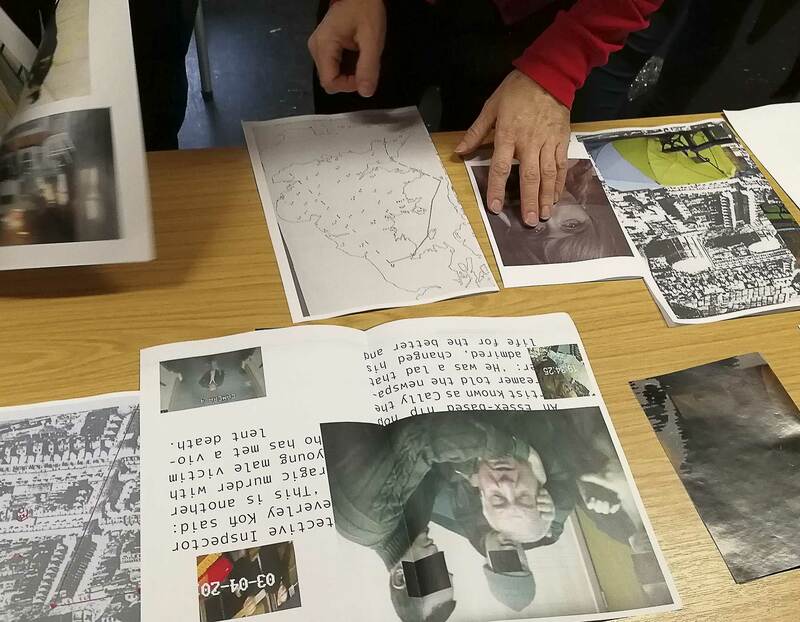 In his lecture, Jens demonstrated how to develop a fictional spy plot when working with one’s own photographic archive. 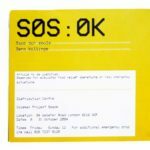 The bookwork adopts the aesthetics of a police file, to place the story in the territory of former East Germany and its Stasi state security police. 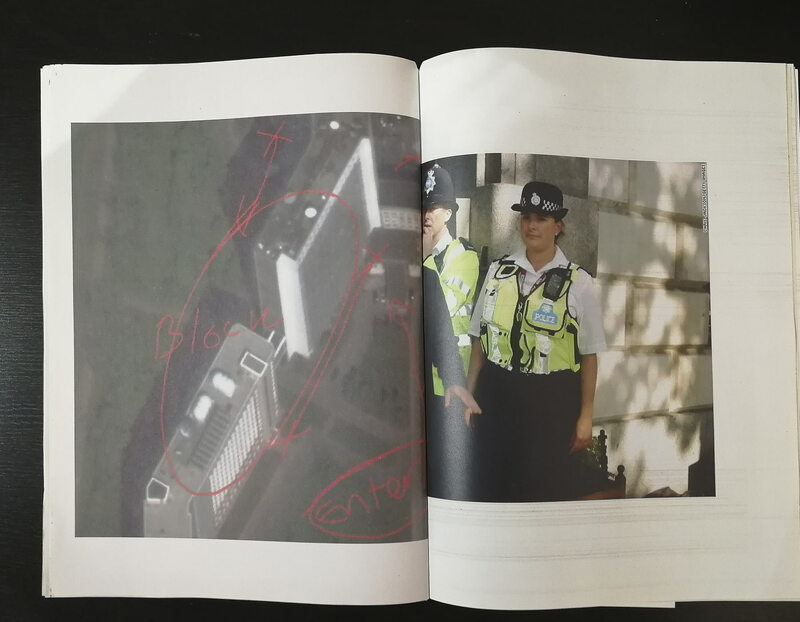 The book has an ironic twist on notions of photographic evidencing, suggesting criminal activity where there is only harmless material, and is the perfect summation of the photobook as the medium to evolve fictional narrative though sequencing. Its content had initially been considered as the source material for the students’ workshop. However the same week Jens visited London for the lecture and workshop, Sergei and Yulia Skripal were attacked with a nerve agent in Salisbury. paula roush being a compulsive news reader was fascinated by the way a spy story was being concocted all over the news in real time and suggested replacing the AZ. 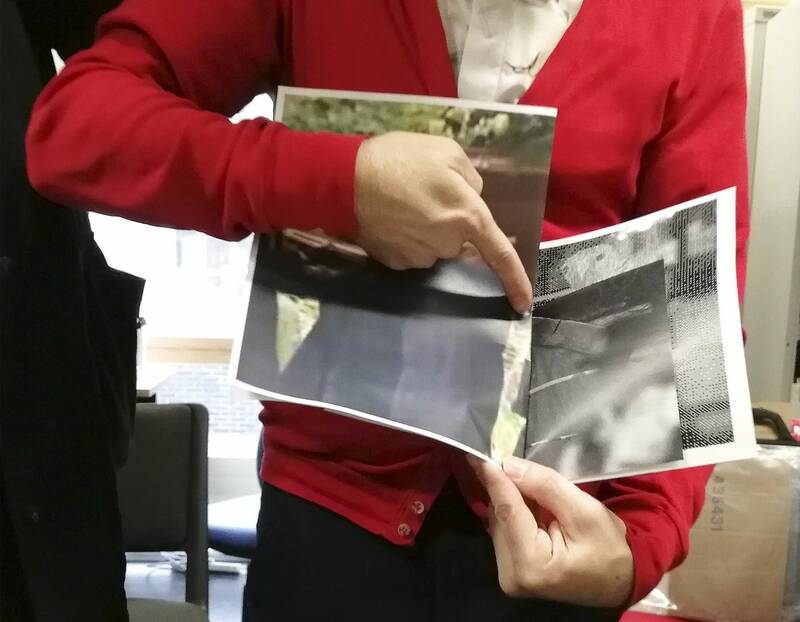 X/1613/80 workshop materials with files related the Skripals’ case. Gleaning the web using the words Russian Spy in multiple search engines led to online archives, news reports and Instagram/ Twitter/ Facebook accounts of several news agencies. 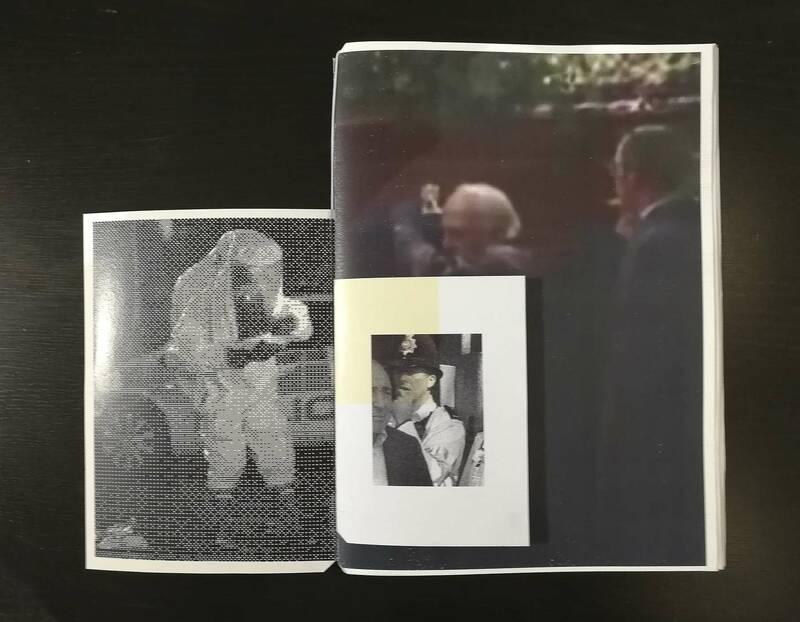 A selection of 87 gifs and jpegs including press photography, political archives and screenshots were archived in a single folder titled RS files. 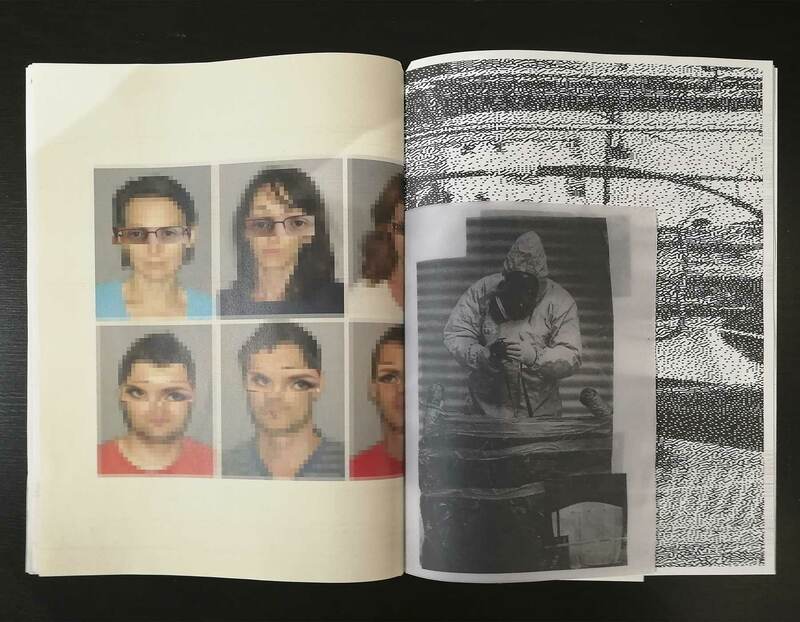 All the images were anonymised and given a number from RS-00.jpg to RS-86.jpg. A compilation of photographic cutouts from printed newspapers published in London that week was also made available. The workshop room was equipped with laser and inkjet printers, photocopiers, scanners and varied types of paper. 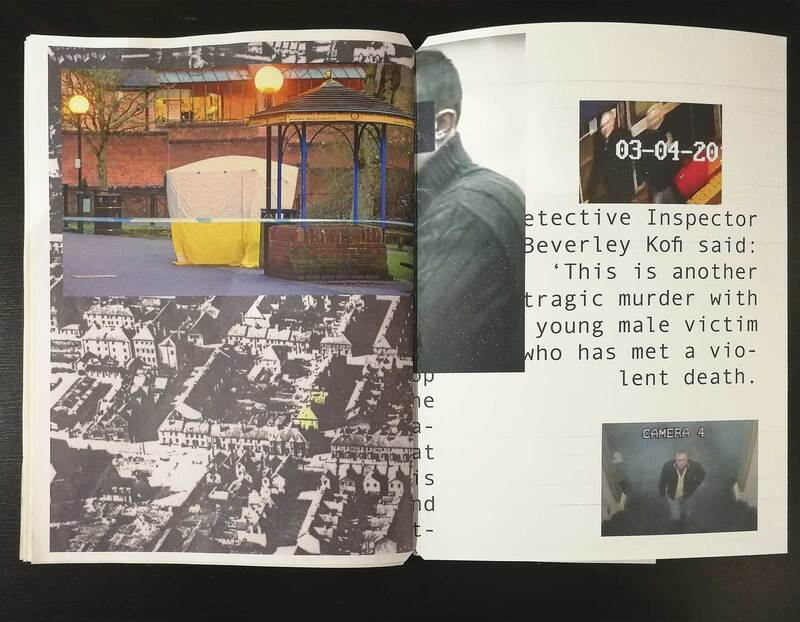 Rule 1 – Each participant creates one folio with photographs from the RS Files. 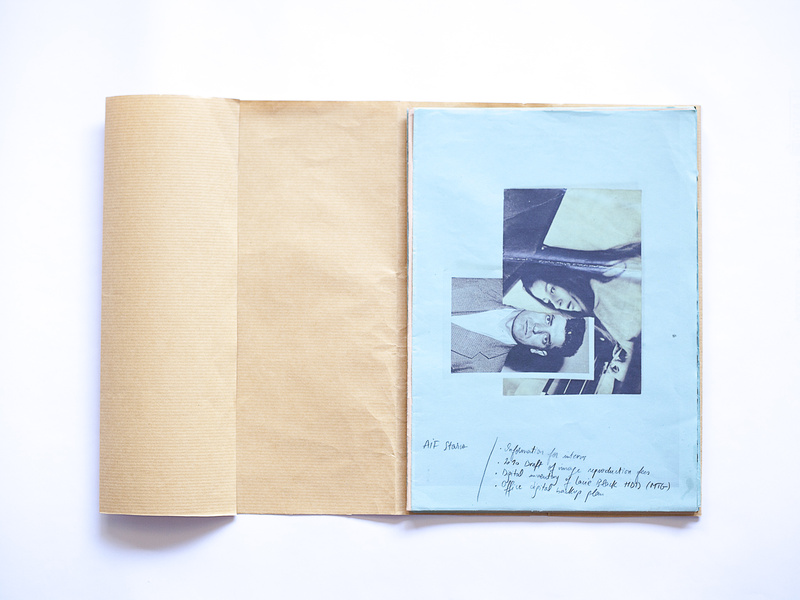 All folios to be assembled in one single signature book loosely bound with elastic. Rule 2 – Design to include varied: page size, image processing, printing method and paper type. 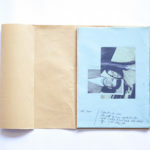 Rule 3 – Participants to do their best to match their folios with the ones adjacent in the book structure, starting from the cover, proceeding to the next. 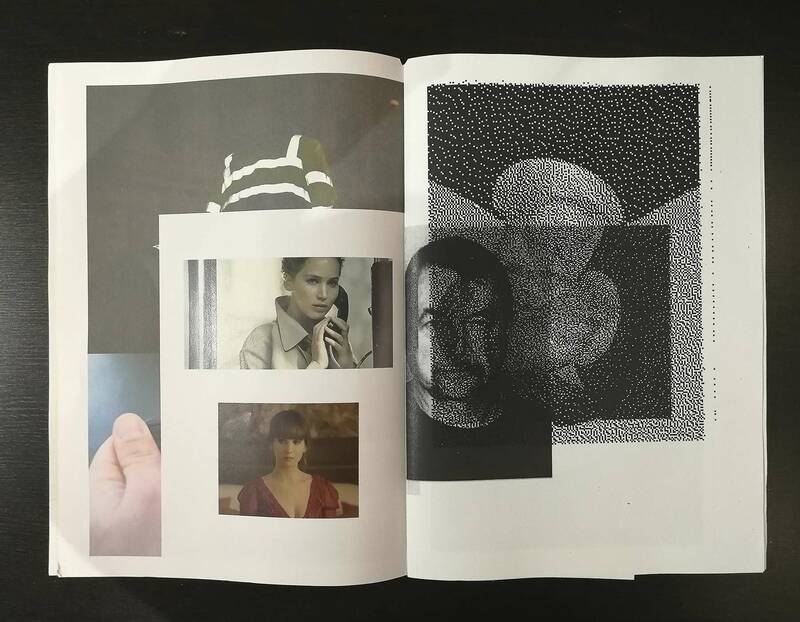 After the participants designed and printed their folios, Jens sequenced the final edition, relying on visual structure and formal-thematic synergies between folios, creating a unique plot for what still remains an unsolved case. Jens also designed an envelope identifying the project, participants and workshop rules. 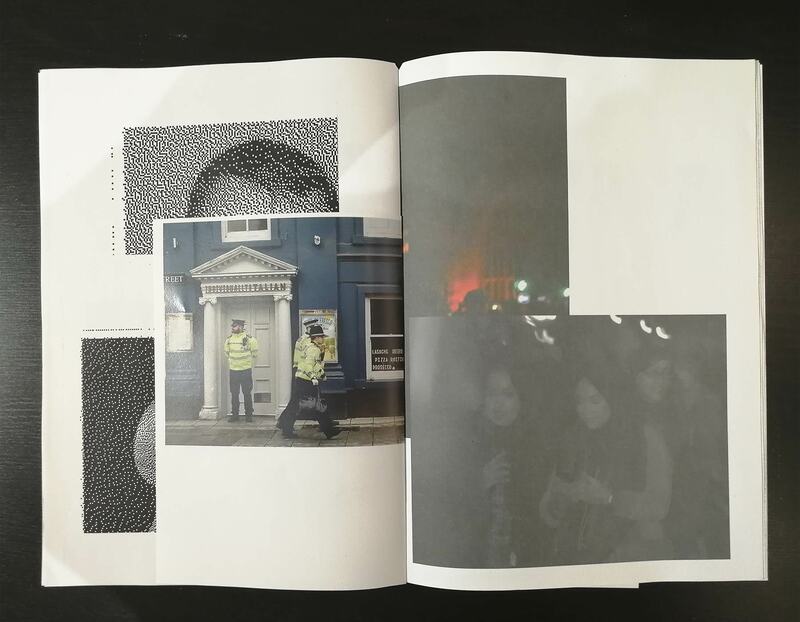 Of this edition, 28 copies have been printed with the support of the Research as Practice cluster at the School of Arts and Creative Industries. 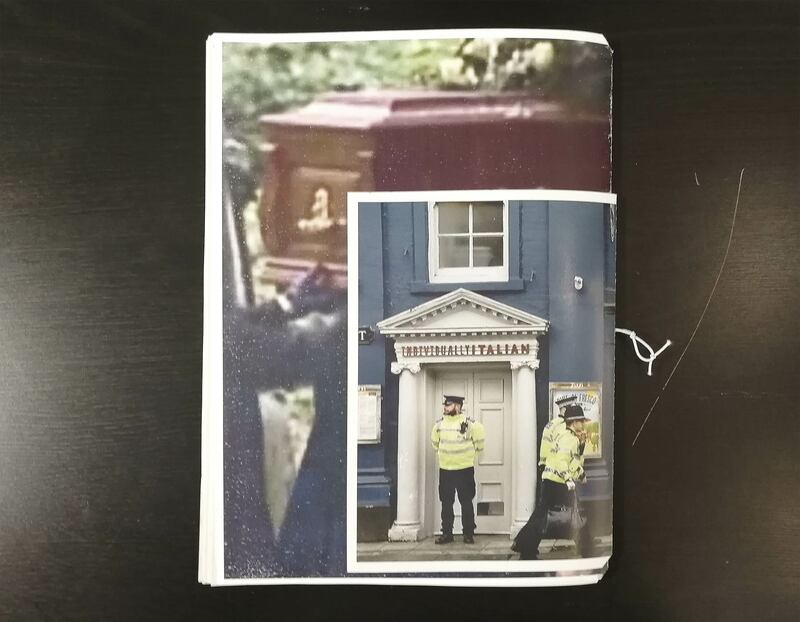 As the work includes photographs that do not belong to public property yet, this book is published NOT FOR SALE.